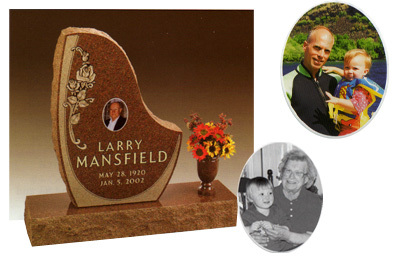 Ceramic Portraits In Black And White Or Color Created From Your Family Photographs. Available In a Variety Of Sizes. 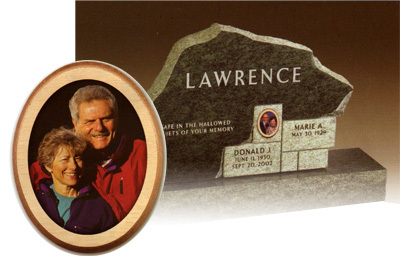 We also offer a line of decorative and protective frames. Copyright © Huron Granite Works Inc.